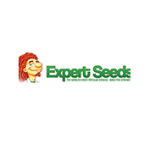 Expert Seeds - Sweet Zombie. Free US delivery. Sweet Zombie is a 95% indica strain with a heavy delivery both in terms of yield and effect. Produced by crossing Zombie Virus with the famous Black Domina this cannabis plant makes a stunning display of orange, purple and black colours as harvest time approaches. Almost the entire plant is covered in sparkling trichomes which exude THC at a remarkable 23% as well as an almost sickly-sweet smell of blackberries and prunes. Sweet Zombie produces fantastic yields; indoors between 650 - 750 gr/m2 and outdoors up to 1200 gr/plant. All this in a sensational flowering period of just 7 to 8 weeks! Truly exceptional. Outdoors growers can expect the harvest festival during September. It has a very strong hash-like taste that is sweet on the finish. The high is an all-encompassing body high for ultimate relaxation as well as pain relief.